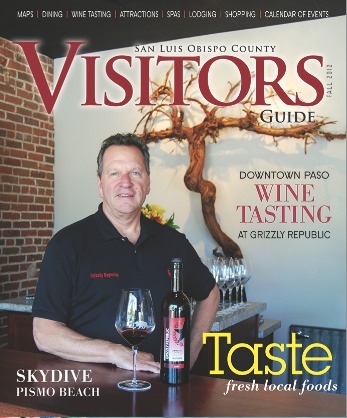 Access Publishing creates magazines, guides and directories, and provides online marketing, Internet advertising, local search engine optimization, web design, blog & news writing, graphic design, printing, PR & ad agency services in San Luis Obispo County, CA. 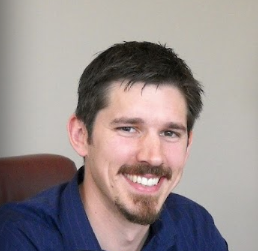 ATASCADERO – The Atascadero Chamber of Commerce is hosting its annual business expo this Thursday. It’s open to the public. Access Publishing launches a new magazine this year to highlight health and fitness activities in Central Coast California. 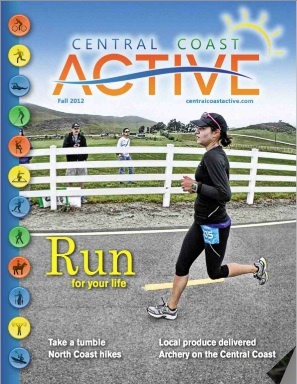 Central Coast Active is a guide to activities, events, training and athletes in San Luis Obispo County, CA. Featured activities include running, biking, swimming, hiking, surfing, kayaking, fishing, golfing, paddle boarding, archery, yoga, martial arts, CrossFit, weight loss, and healthy eating. 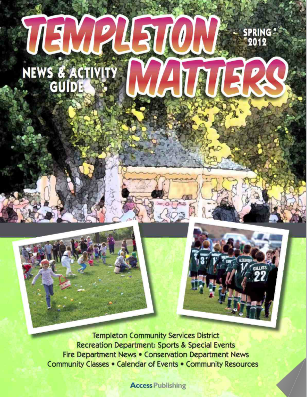 Templeton Matters is the source locals look to for news, events, activities, and fun. Produced in cooperation with the Templeton Community Services District, this publication reaches every family in and around Templeton, CA. 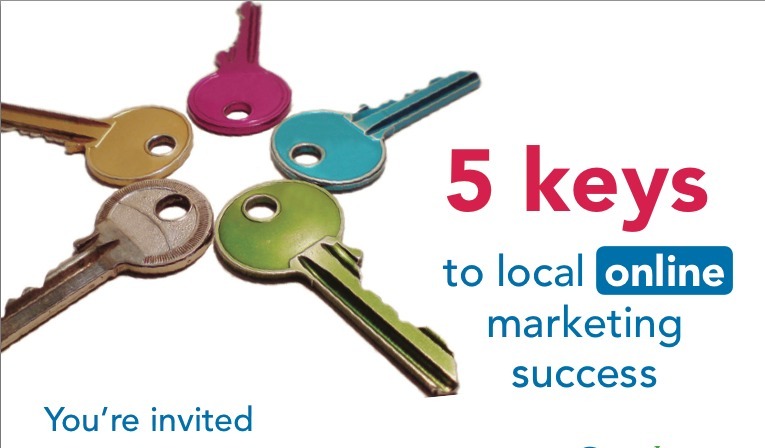 That means your business will reach more than 10,000 readers! The magazine is delivered by US mail. The upcoming issue will be out for fall and winter months. 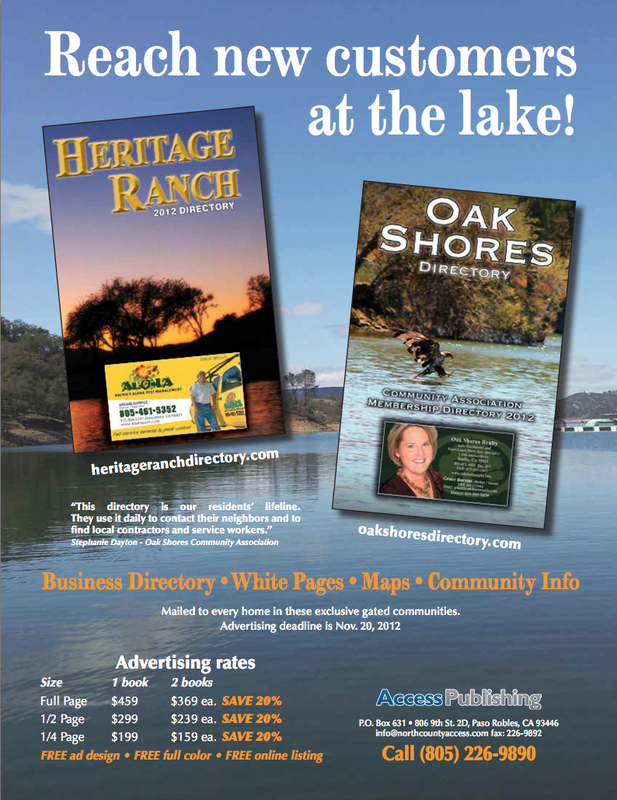 We offer competitive rates starting at $195 for a 1/8 page ad; free design and full-color are included. Check out our flyer.